Well, you guys aren't going to believe this... or maybe you will (we have been going a little nuts around this house lately...well, for just like a short 12 months!) I just rediscovered the review copy Classic German Baking that was sent to me in November of 2016! (can you say "winning?") Yes, it's true. I'm not sure if simply stating "My bad" is sufficient here, but anyway I do feel just awful about this untimely review! Allow me to explain, eh hem. You see, we remodeled the small kitchen in our old house in early November of last year, right around the time I received this cookbook in the mail. When it arrived it was packed safely inside a cardboard box and it was set on the baker's rack in my kitchen. Unfortunately, it blended directly into the sea of several other cardboard boxes full of things we were packing up to empty out the cupboard, cabinets and shelves while we made over the kitchen and it ended up stored with the rest of them in our garage. Well, long story short it was discovered again in our attic as we packed up to move out of the old house a few weeks ago. Apparently, the boxed up book also resembled the small boxes we use to pack up delicate Christmas ornaments when the holidays are said and done each year. Oy. Vey. So, anyway I was happy to have this book in my possession again and I can't wait to try some of the interesting and delicious sounding recipes it has printed on it's pages. I haven't had a chance to personally make any of the baked goodies yet, but believe me I will. There is a recipe for bread recipe called Mohnzopf or a Poppy-Seed Braid that just looks amazing! Since the majority of the recipes are very foreign to me, the only thing I would have found helpful would be more photos to accompany the recipes. Even if they weren't instructional-style photos, pictures of the finished products are always helpful to me when I'm trying new dishes as I'm a very visual person. That being said, the photos that are in the cookbook are gorgeous! 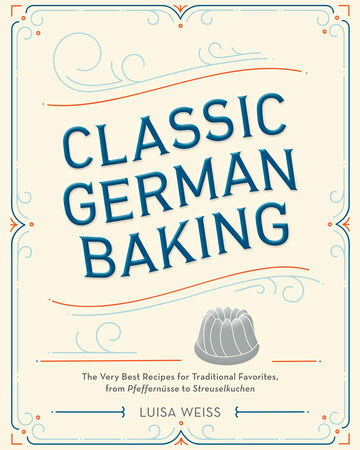 If you would like to up your game with some lovely European baking, specifically German-style baking, this is definitely a great book to add to your collection. Mohnzopf is definitely a classic! You will love it! You're lucky you found it! I can't wait to see what you create from this German cookbook! Hi Marcelle, Love it when I find something!! anyway I thought the same way about the book, not enough pics. Sounds like you have been very busy, take care! All of the recipes sound so wonderful, but I'm definitely more drawn to the ones with pics!! Thank you, Cheri! 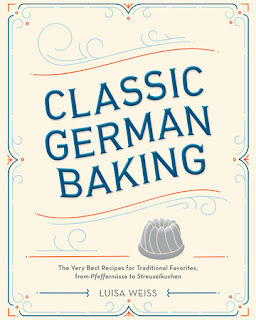 I am a huge fan German baking. People think I'm crazy but I think the German pastries and cakes with the French by far! Mohnzopf is one of my favorites – I think I need to get this book! Hope all is going well with the move. What a neat book! German baking is terrific. Glad you found this!